Today, I want to talk about an old Chinese proverb which goes like ‘A person who is saying it cannot be done shouldn’t be interfering with a person who is doing it’. I’m talking about this in terms of a lot of people out there, you could call them haters. They’re just people who don’t want to see you doing well because they’re not doing so hot themselves. I often look at them and wonder why they’re interfering? Why can’t they be happy about what I’m doing for myself or just mind their own business? Why are they interfering with what I’m doing? How do you deal with someone like that? Someone who doesn’t want to see you advance and flourish in life? To make something of your life? There are always going to be people who don’t like the fact that you’re trying to progress in life. One of the things I suggest to try and avoid this, is to rely on people for advice, and for company, even people who have already been there and done that…I’m not only talking about quitting. Listen to people who have quit for a long time. Don’t listen to someone who has quit for a week, or has tried multiple times and just can’t quit. Don’t listen to the people who are telling you that you’re always going to be an alcoholic. People telling you that no matter how many days you spend away from alcohol, you’re always a drink away from going back. There are also other people who will say ‘Well, there’s nothing wrong with a drink. There’s nothing wrong with enjoying yourself’. That’s all someone else’s limited beliefs, and they’re forcing those beliefs on you because when you’re using alcohol, you are limiting your own life. You’re limiting your own abilities. These things don’t just happen, that you advance in life. These things are the product of hard work, of good thinking, the right mind-sets. 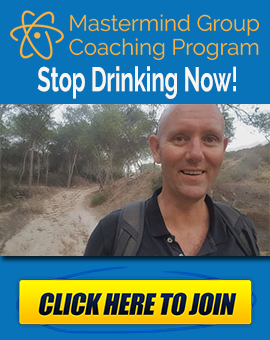 I’m not saying that everyone who is successful has never drank alcohol, but what I will say is that the amount of people who are successful, they can ruin it very quickly through alcohol and other drugs. We see that with rock stars and pop-stars. I think people who have to go the hard route, and day after day they’re putting in the hours, the effort and the money to make themselves successful, I think they will find it a lot more difficult to have an alcohol problem because thy understand that the next day, they have to get up and do it all again. A lot of these people love what they’re doing. So, if you like what you’re doing, why would you spend any time out of your face? It just doesn’t make any sense to me at all. That’s one of the things that I’ve seen now in my life since I stopped drinking. I want to show you around this place. I’ve sort of thought about this a few times, whether or not to show you around where I live. I don’t want to do it for anything else. boast or anything like that. We’ve got this house now because I’ve worked really hard over the last five years. I’ve saved around $60,000 easily, with just the amount I was spending on alcohol. That’s not talking about the amount I’ve saved because of the opportunity cost. I’m talking about a financial cost to a person when they put their hand in their pocket and shell out the money for the drink or the fast food. Then you’ve got the consequences of all that. That’s easily 12 grand a year I was spending on this rubbish. Maybe a bit less over here in Spain but not in Ireland. On a soft session, I drink 10 pints. That’s about 50 euros, plus the take out, and the taxi home. as easily a thousand euros I was putting out a month. Anyway, I’ll show you around. It’s the first time I’ve had a bar. This is our bar in the house. We just got it re-tiled. It’s the first time there won’t be any alcohol in here. The only thing that is going to be here is the water. There’s a lot of orange trees. This is out garden, or part of it here. We’ve got some really nice palm trees here. I’m going to have to turn the tap off, we have a bit of a leak. I’m not trying to show off. I just want to say that this is just the fact that I’ve stopped drinking, and everything that that entails. Not only am I saving all that money I used to spend on alcohol, I’m not spending it on anything else. We’ve got a better house now. I have a better car. When I was drinking, I had to sell my Land Rover because I couldn’t afford to keep it. Let me introduce you to Rocco (dog). Anyway, where was I? I spent a lot of time thinking. 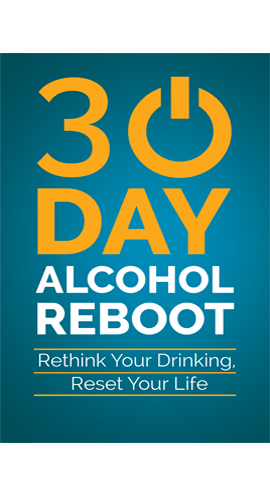 When you’re spending more time thinking about drinking alcohol, you spend less time thinking about other things. The amount of fog that alcohol puts over your mind is just unbelievable. It’s just starting to get warm enough for me. I started getting in it for the last few weeks since it was about 22 degrees. It’s about 26 degrees at the moment. I’ll show you my office. But, a lot of this stuff that I’ve been doing in these five years has been a product of that one cornerstone habit. 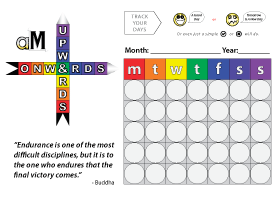 When you get rid of the one habit in your life, it means that you’ve got more time to do other things. You have more thinking capacity. You think about things in a much better way. This is my office now. I’ll introduce you to the people I work with. That’s…nah I’m only kidding, there’s nobody here. That’s Rocco’s bed, and my exercise bike. As I was saying, that cornerstone habit is responsible for changing everything. 60 grand in the last five years, at least. When you’re talking about the opportunity cost of drinking, when you drink, not only is it costing you the money, it’s also costing you in the time you could be doing other things. It’s costing you in the thinking that you could be doing. So, going back to what I started out saying, with people that are hating on you. Some of these people are well intentioned. Some of them do it out of fear because they might fear that you’re doing something you might regret, or that’s going to hurt you or other people. A lot of the time, they’re doing it because they fear that when you do something and you’re successful at it, that you open up a window to their own faults and negativity. Nobody has to drink alcohol. When I go down to the pub to watch the Arsenal matches…the last one is tomorrow. We’re playing Chelsea in the FA cup final. But when I go down and see people in the pub, and you see the same people over and over. Over the last 5 years I’ve been here, I’ve seen 3 or 4 people dying. I live in an area where people come to retire, so you can expect that. But overall, you see people suffer in their lifestyle. You see people who are suffering because they’re at the end stages of that lifestyle. It’s a big eye opener. I think it’s one of the big reasons that I stopped. I talked about my son and the amount of money it was costing me, but this is one of them as well. I remember seeing this woman coming into the bar where we go to watch the match, and she was in this wheelchair, and she was obese. She was in huge double wheelchair with a motor. There was a pacemaker underneath her chest that was beating away. And she ordered the biggest plate of greasy food that you’d ever seen. She was making no attempt to change her own life. She was probably surviving because of medications, and because of doctors that were trying to help her survive, but eventually it won’t work anymore. But it’s not just the life that is over, it’s the quality of life that suffers. Who would want to live like that? No one starts out to deliberately live like that. But, there is a time where you can see what’s happening to you, regardless of whether you’re killing yourself through food or alcohol. There must be a time when you say to yourself: this is enough. This is scary. I have to think about where I’m heading. Where this journey is taking me. I have to start saying to myself I’ve got to change now, or that’s the person I’m going to be forever. That’s part of why I quit, because I saw how unhealthy people were when they lived that lifestyle. I loved living that lifestyle, don’t get me wrong. It’s an easy lifestyle to live because you’re always living in instant gratification. There’s only the monetary price to pay. But when you start to visualise yourself further down the road, when you start to look at how your life is going and the trajectory you’re going, and where it’s taking you in two or three years’ time. That’s when you really have to start thinking about what you’re doing to yourself and how you can change. You have to make the commitment to change, and persist. Much of the time, when I’m talking about haters, I’m talking about people that shouldn’t being your life. I’m not talking about someone who gives you some negativity every so often, but in general they’re positive. I’m talking about people who are trying to put you down, who are persistently trying to find fault in you. You should surround yourself with positive vibes. These people are only going to drain your energy. Positive people will bring you much more positive results. That’s where everything starts, in your mind. Thoughts, behaviours, rituals, everything starts off as a thought in your mind. If you have people poisoning your mind with negativity, eventually it will start to infiltrate your thoughts. Then you’ll start thinking negatively. Negativity is part of communities. You go into families, see how they’re negative, and never see anything positive in life. You see it in drinkers. You see this same kind of thinking in people who drink or take drugs. They have a certain kind of mentality. Even when you get positivity, they’re still egging each other on to drink. So, sometimes you just can’t help having negative people. Sometimes, you can’t help it. But as soon as you can, get away from that and surround yourself with positive inputs wherever you can get them. Just remember that anything is possible. Going for the goals you want in life is possible. When I first stopped drinking, we were in a 4th floor apartment. Before I’d come over from Ireland, I’d worked for a long time to try and build a business so we could fund that business. Because of my drinking, it made me lazy, and I just wanted to do the same thing, it made me focus really narrowly on something. That just collapsed before we came over. I went from earning a grand a month, which would have been fine over here, to earning less than 200 a month. Luckily I had a bit more money put aside to do something else. It took me a while to do that, but it was that negative thinking drinking and the narrowness of that focus that brought me where I was. Stopping the drinking has brought me to where I am now. I don’t care about anything that’s here. I could start again tomorrow if I lost everything tomorrow. I’m not narrowly focused anymore. My life is not ruined by alcohol anymore. Once you quit, it takes time but your mind recovers. 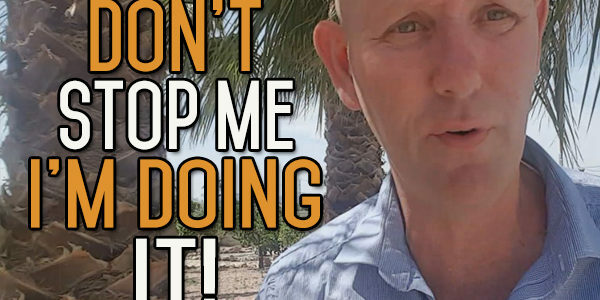 If you make that commitment and put in the work, and say ‘No matter what happens, I’m going to go back to my commitment and carry on with that commitment’. If you do that, then you will get everything you desire in this life. If people are there trying to put an obstacle in your way, get rid of them. The quote at the beginning of this was: a person who says it can’t be done shouldn’t interrupt a person that is doing it. Those people who are trying to fill you with negative thoughts, they’re absolutely right in their own convictions that they cannot do it. Keep pushing down the negativity, pushing away the alcohol, and pushing yourself towards positive things. It will come. Your brain will get better. Your body will get better. Your mind will get better. Your life will get better. This was a really rambly video in more ways than one. I’ll leave it there. 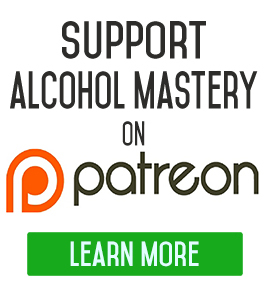 If you want to help us out on Patreon, go to patreon.com/alcoholmastery, and you can sign up to be a patreon.